NORTHWEST LINE CONSTRUCTORS CHAPTER NECA is an outside line chapter of NECA serving electrical line contracting members in Washington, Oregon, NW Idaho and Northern California. Northwest Line Chapter offers members an opportunity to have a voice in the electrical industry and its future through local, district and national meetings. The National Electrical Contractors Association (NECA) is the voice of the $160 billion industry responsible for bringing electrical power, lighting, and communications to buildings and communities across the United States. 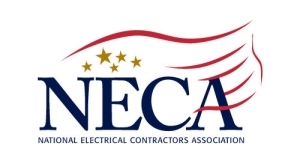 NECA members are electrical contractors who work in all aspects of electrical construction.